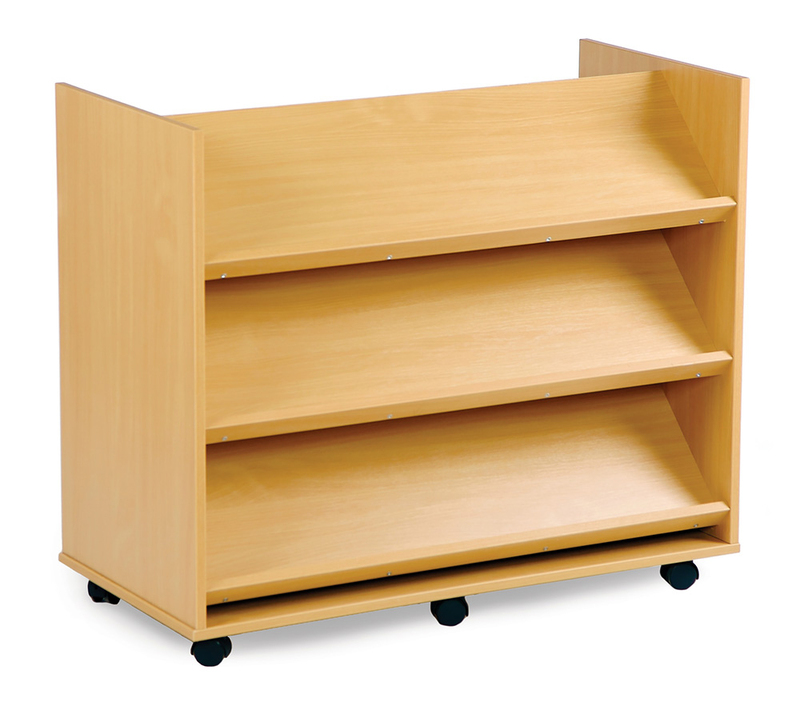 The school library book trolley is a convenient and mobile book storage unit which can be situated in school libraries, classrooms and reading corners. Carefully constructed from 18mm MFC in a modern beech finish, complete with easy glide castor wheels so transporting the trolley can be done easily. Plenty of book space on the double sided book trolley with three angled shelves on each side. Books can be easily accessed by young children. For more information please Contact Us or alternatively call us on 01733 511121.